Earlier in the day, Beijing welcomed Air India's move saying foreign companies must respect the country's sovereignty. Earlier, Air India website called the island as 'Taiwan', which China considers a breakaway province. Taiwan on Thursday expressed deep disappointment over Indian flag carrier Air India's decision to refer to self-ruled Taiwan as Chinese Taipei, saying the move can be seen as a gesture of succumbing to the "unreasonable and absurd pressure" from China. 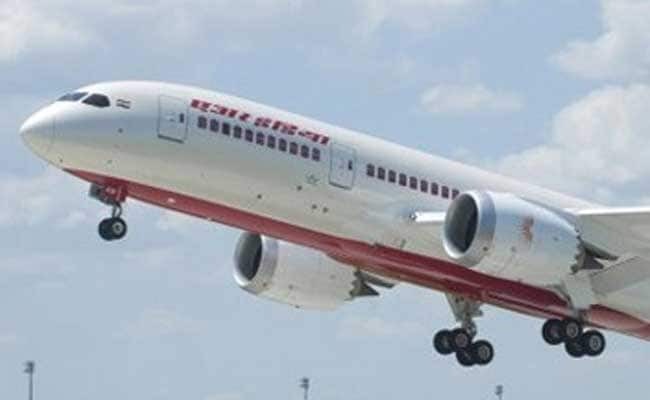 "Taipei Economic and Cultural Centre in India (TECC) is deeply disappointed with Air India changing 'Taiwan' into a Chinese Taipei' on its website and regrets that this move by Air India, a state-owned airline, can be seen as a gesture of succumbing to the unreasonable and absurd pressure from China," a TECC statement here said. "TECC Representative Ambassador Chung Kwang Tien calls on Air India to stand up against the unreasonable demand from the government of People's Republic of China and promptly restore the name of 'Taiwan' on its official website," it stated. The airline is the latest to join international airlines in changing the name of the self-governed island after China's civil aviation authority's formal communication to them. Until some time ago, Air India website called the island as 'Taiwan', which China considers a breakaway province and has vowed to unite it with the mainland someday. In Thursday's TECC statement, Ambassador Tien stressed the need for consultation with TECC if Air India chose to change the name of Taiwan on its website and expressed the hope that "the Indian government can provide firm support to its public services and private businesses to defend themselves from a foreign country's bully actions". "The TECC has lodged a formal note concerning against the change to India's Ministry of External Affairs, and is currently waiting for the MEA's official response," it stated. Tien said that his country is "afraid that if such politically motivated bully actions are let prevail, people's freedom in doing business and in their expression of opinion may be undermined; therefore, free and democratic nations should work together to protect their common values and interests".